YES! It’s my favorite film. I can finally show it to my girlfriend to judge her. We do appreciate the check in. This is still my favorite movie of all time. I always cry during the wake scene, “It was Sofia who never fully recovered. It was she who some how knew you best..” This is why I love your work Cameron Crowe! I appreciate that the release date is very close to the release date of Cameron’s new film. It’ll make for a great revisit as we get ready for our collective Hawaii trip! Speaking of Blu-rays, Sony just released a Mastered in 4K edition of “Jerry Maguire” in Japan and I was curious if America will be getting a new Blu of the film very soon as well, or if this Japanese edition’s transfer was even approved by Cameron. Remembering that photo posted a while back of film reels you guys had in store (including those of “Elizabethtown” and “Jerry Maguire”) I was wondering if there was a new Blu coming of “Jerry” that boasts the new transfer and trumps Japanese disc with new features. It’ll be worth the wait. It pops up on Netflix now and again so that should tide me over. One if the all time great late Friday/Saturday features. Just watched Jules and Jim this past week, and was reminded how much I liked this movie. I defended it on my podcast to a critic. Fast Times at Ridgemont High is awesome! Hey Cameron, any chance you will be making a film about Lynyrd Skynyrd? My favorite movie bar-nunn directed by thee best director in history (without a doubt… Go ahead; I dare u to TRY to logically debate it with me). I’d hear you out on a notion involving “Almost Famous” being the equal to “Vanilla Sky” but seeing as the director doesn’t change the point is moot. ALL Cameron Crowe movies from the early/mid 90’s have no equal. I.E. “Vanilla Sky”, “Almost Famous” & “Jerry Maguire”. One of the Best – and Sadly missundestood- movie a ever !! YES!! Cannot wait! It’s my favorite film of all-time. Beautiful and tragic. Brilliant and sad. Hilarious and intense. Films don’t get any better than this. And the music……… the music brings it full circle. It’s the sour and the sweet. Awesome news! One of my top 10 favorite movies. Congratulations! Awesome news. I don’t know if there is still time, but it would be great if Mr. Crowe could include a spot in the extras where he could answer some of the many questions fans have asked him about the film over the years. If not in the bluray release, than maybe here, when he has the time. Im sure there are many fans who would appreciate it. I know I would. Vanilla Sky, my favourite film of all time. Must have watched it at least 50 times. Really hope this gets a UK release (or is at least region free). Hi Greg – can you please reveal if a new 2K/4K transfer will be used for the US Blu-ray? Thank you for more than you will ever know. Thanks so much for the update and the commitment for releasing the “near impossible”. Whether a blu ray or vinyl reissue, we wouldn’t want anything less. greetings from Chile, am very excited about this blu ray , is my favorite movies and just ask you to come with subtitles in Spanish and some slipcover , metal case or special edition. hi there Matias. No slipcover, but it should have Spanish subtitles. Hi Greg. Is this still scheduled for 5th May, or has it been put back again to 30th June? Thanks. okay, where’s this June 30, 2015 date coming from? Amazon says May 5 still..
C’mon guys again????? WTF????? Amazon does list it June 30 now, how many times are we gonna have to wait??? Ridiculous!!!!!!!!!!!!!!! Finally!! 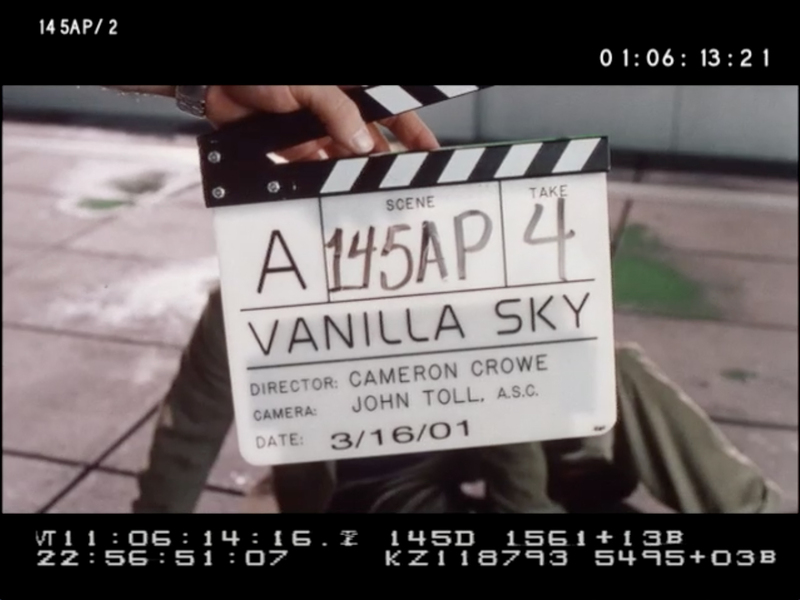 :Your Amazon.com order of “Vanilla Sky w/ Alternate…” has shipped!